Long Island wine tasting - Inexpensive, romantic, fun. Fun, romantic, inexpensive and delicious! Have you done any Long Island wine tasting? Or have you been putting it off like I was? My folks have lived in the heart of Long Island wine country for years. To get to their house from my place I have to pass at least 10 wineries. And pass them I did. Year, after year, after year. Never once did I tour a winery or even just stop for a quick taste. How's that for putting something off? Well, I eventually gave in and since that first visit Long Island wine tasting has become a little hobby of mine. Most Long Island wine tasting happens at the 40 wineries on Long Island's North Fork. 14 of those wineries are located on Rt. 25 (Main Rd.) between Riverhead and Greenport which makes them hard to miss. The remaining wineries are either on Rt. 48 (Sound Avenue) which runs parallel with Rt. 25 or are located on the cross streets between Rt. 25 and Rt. 48. These are very easy to find, and chances are you'll be passing them anyway in your travels on the North Fork. Please see my guide to exploring Long Island Wine Country for additional information and a preplanned itinerary. 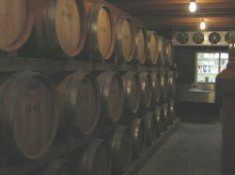 Most of the wineries are open to the public for wine tasting 7 days a week, all year long. No appointment is needed. Just walk in and taste the wine. If you'd like a tour of the winery, call ahead for an appointment. 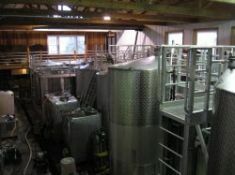 The winemakers usually try to accommodate, but they are busy making wine and can't always stop for impromptu tours. Long Island wine tasting is fun, educational, inexpensive and romantic--Your significant other will love the sweet taste of wine on your lips in the romantic setting of a Long Island vineyard. During the winter and early spring I find there are less people at the wineries, so I get more attention from the vintners and the knowledgeable folks pouring the wine. This is a big plus if you enjoy asking a lot of questions like me. I do a lot of Long Island wine tasting during the winter. 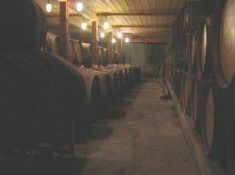 During the summer months the wineries are more crowded but have a great, party-like atmosphere. Most have comfortable outdoor decks and some even feature live music on the weekends. At harvest time in the Fall many wineries host festivals. There you can taste the grapes and see how they’re crushed and prepared for fermentation. Since I make my own beer I find this fascinating. Bottom line--Long Island wine tasting is best any time of year. 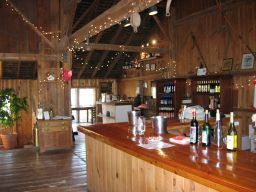 Most Long Island wineries have a tasting room that is open 7 days a week, usually from 11 or 12 to 5pm. If you're already on the North Fork, just pull into any winery. If it's too crowded or closed, just go to another one. 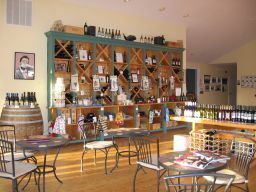 The tasting rooms are usually set up like small cafés with tables and a bar. At the bar you'll be handed a short, one or two page list describing the wines available to taste that day. Some wineries don't bother printing a list, they just write everything up on a chalkboard like restaurant specials. Prices vary, but 3 wines for $2.00 or a "flight" of 6 wines for $5.00 are typical. A flight is simply a pre-selected group of wines offered by the winery. It could consist of similar wine styles, contrasting styles or may just be a sampling of some of the winery's finest. Some vineyards will do a 2oz pour instead of a 1oz pour for their flights. If you don't understand the list, just ask for some help. The tasting room managers are very helpful and understand that not everyone is an expert. They're job is to sell wine, so they will bend over backwards to help you. There's nothing wrong with being a wine dummy (I am) so don't be afraid to ask questions. You've got your wine. Swirl the glass, take a whiff and take a sip. Now what? Pass the glass to your significant other so s/he can try some wine. Now you're both standing there with mouths full of wine wondering if you're supposed to swallow it or spit it out into those little buckets sitting on the bar. I wasn't sure what I was supposed to do either and I had no idea what those buckets were for, so I just swallowed the wine. Turns out, that's what most people do. The buckets? When you're finished tasting your wine you dump whatever is left into the bucket. 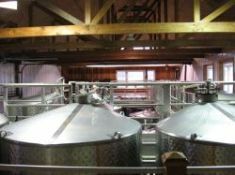 Depending on the winery your glass may be rinsed after each wine and the rinse water is also poured into the bucket. Now, if you're going to visit a bunch of vineyards and taste a lot of wine then it's time to think about spitting. Remember those buckets? Spit right in. That's what they're really there for. You may be a little uncomfortable at first, but spitting is perfectly acceptable and encouraged. If there's a pitcher of water on the bar you can rinse your glass with that or rinse your palette. I've always been fascinated by the way things are made and luckily for me, the winemakers have been happy to show me around, but if you really want a tour of the fermentation rooms, labs and barrel cellarscall in advance and ask. Pellegrini Vineyards has a nice self guided tour of their winery. You can see the fermentation room filled with stainless steel tanks and a barrel cellar so rustic, it looks like something from a movie set. Many restaurants offer wine tastings and there are Long Island wine tasting events for singles as well. The restaurant hosted tasting is usually more expensive and more formal. There are however, exceptions to every rule. One Long Island wine tasting I attended very quickly went from formal to free for all. It was really a heck of a lot of fun. I've never been to a singles wine tasting, but I'm sure those are interesting in their own right. For information about Long Island wine related activities check out our very busy wine events calendar. Some of the most unique Long Island wine tasting events are offered by the Stony Brook University Center for Wine, Food and Culture. These lively affairs are held in Manhattan and at their main campus in Stony Brook. The center is directed by Louisa Hargrave, the pioneering yet unwitting founder of Long Island's entire wine industry. One of the nicest ways to see Long Island's wineries is by limousine. Read about my recent Long Island wine tour. Take Sunrise Highway to exit 63 North. Continue until you see the signs for Rt. 104 and Rt. 105. Bear right at those signs heading towards Orient Point. Continue until you cross Rt. 24, and then keep a sharp eye out for Rt. 25. Turn right on Rt. 25 (Main Road) and you are now in Long Island Wine Country. In just a few miles you'll start seeing signs for the wineries. Take the Long Island Expressway (LIE / I-495) east to exit 71. Continue on Rt. 105 making a right onto Rt. 25. You are now in Long Island Wine Country. If you're coming in on the Bridgeport / Port Jefferson ferry take Main Street (Rt. 112) south until you reach the Long Island Expressway (LIE / I-495) and then follow the North Shore instructions above. If you're coming in on the New London / Orient Point ferry then you're already in Long Island Wine Country. Just follow the green wine trail signs. If you don't want to drive to the North Fork try Down the Rabbit Hole Wine Boutique in Sayville. Had enough Long Island wine? How about some Long Island beer?